The book has a conversational style, practical examples of the concepts they focus on, and a layout that is appealing to the eye. While other books on “leadership” focus on a philosophy or individual style, Your Leadership Edge provides a universal approach for all organizations at every level. The book opens with a clear vision of principles of leadership, and shows how to practically apply the tools into manageable steps. For example, what is an adaptive change: the coming together of people around a new initiative. And when do we start to make technical changes: the moving of furniture and other tasks necessary to achieve the end goal. These principles illustrate the belief of the authors that leadership is an activity, not a position. Anyone can lead. By diagnosing the situation, managing one’s self and energizing others, then skillfully intervening, the book guides you through steps to small and big changes. Illustrations by Pat Burne provide comic relief, emphasizing the positive nature of change, which is something many of us typically want to avoid, and there are recommendations of further reading throughout the book so you can delve deeper into a concept or idea. Your Leadership Edge is a useful book for families trying to clean out a garage and keep it organized, or for large organizations expanding into global markets. This small book is a big gem. Designed to help you thrive, Your Leadership Edge offers powerful and provocative ideas to help you mobilize groups around what matters most. KLC's newest resource offers insights about the daily practice of leadership. It’s a practical, comprehensive guide designed to help you hone the behaviors, attitude and mindset necessary to create lasting impact for yourself, your organization or your community. 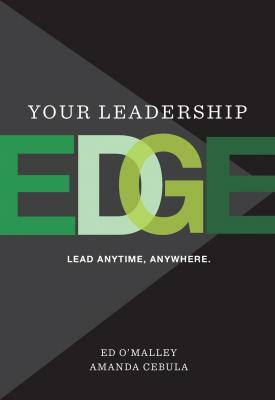 Your Leadership Edge will help you take your leadership practice to the next level.